Freshly prepared home-cooked food is served daily and nightly in the vine-covered patio area by the river.Snack are available throughout the day. Barbeque dinner (with open buffet Turkish meze as cold starters), and oppurtunity to taste local drinks such as wine, raki or etc. Also from our menu, you may find many different tastes and drinks for reasonable prices. We can arrange a selection of trips and cruises from our private jetty alongside the hotel to suit your individual needs. 12 island Göcek sailing boat trips as our favorite cruises just for the hotel guest.Minimum 12 person,maximum 18 person or size of your party for more private. 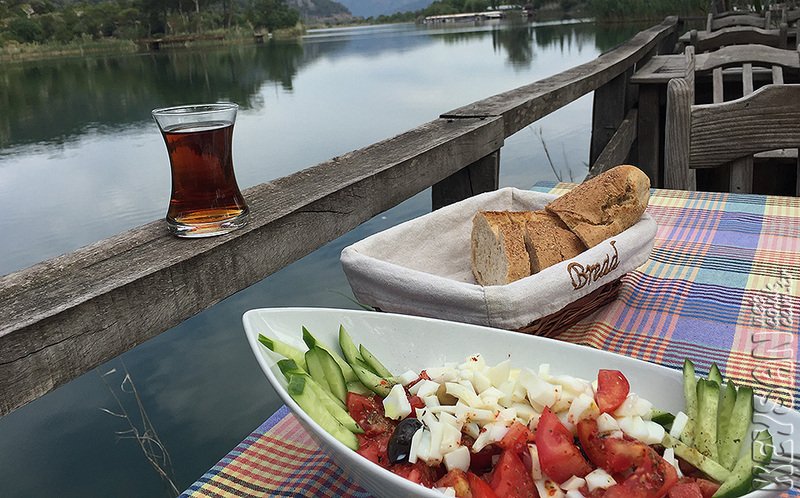 Bbq boat trips on the Köyceğiz lake and Sultaniye thermal baths,moonlight boat trips or etc. All other excursions on the Dalyan available booking with us. We can arrange a selection party of your specials days ,wedding or anniversary days. Free wireless connection for your notebook/mobile device.